Congratulations to all staff (and a couple of keen youngsters!) 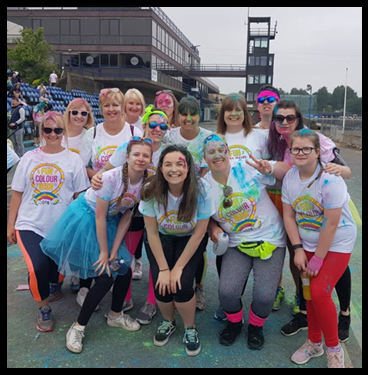 who took part in the incredible 5km Colour Run at Holme Pierrepont. Thanks to some generous donations, they raised a fantastic £660 to provide new equipment for both school playgrounds.